We’re having a table this weekend at the inaugural Booked In festival of children’s and YA literature in the New England region. Taking orders for the books, limited edition prints, and selling merchandise too! 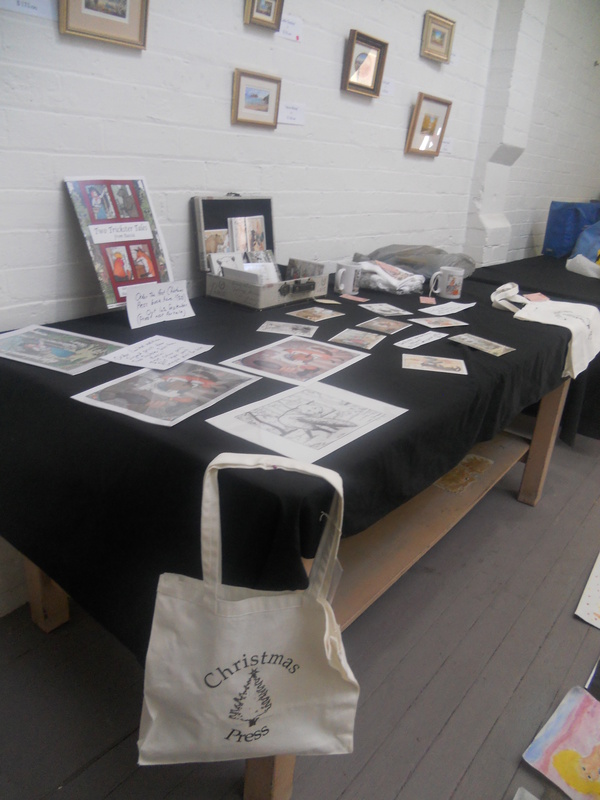 Here’s our table being set up. Things are happening fast now! The proofs came last week, they’ve now been approved, and the printer is in the process of printing the book! We should get the books in the next week or so, and then we’ll be promoting and marketing the book for its official release in late September. Details of our launch very soon! Final cover for our book! 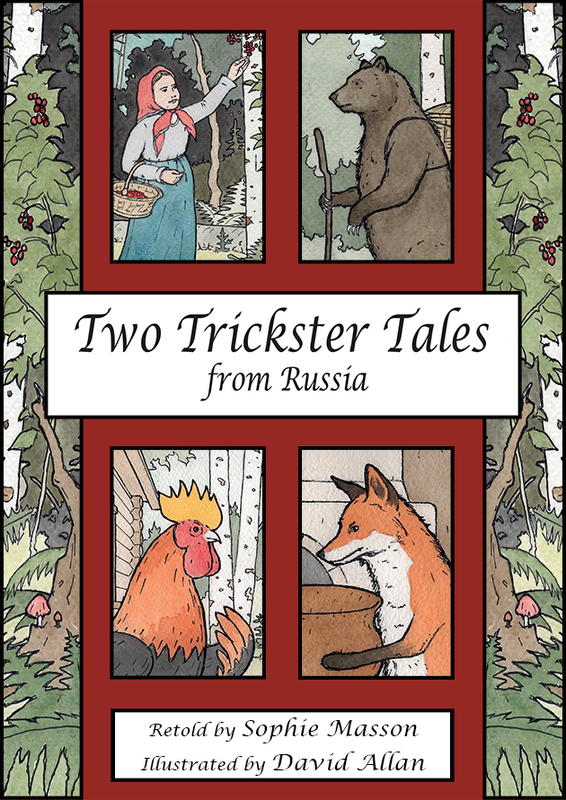 Here is the finalised cover for Two Trickster Tales from Russia: and doesn’t it look great!